When a hostile situation occurs, speed of entry may be the most important aspect to gain control and ensure optimal safety. Tactical entry equipment, also known as Battering Rams, allow police to quickly gain access to both criminals and to victims during rescue operations. 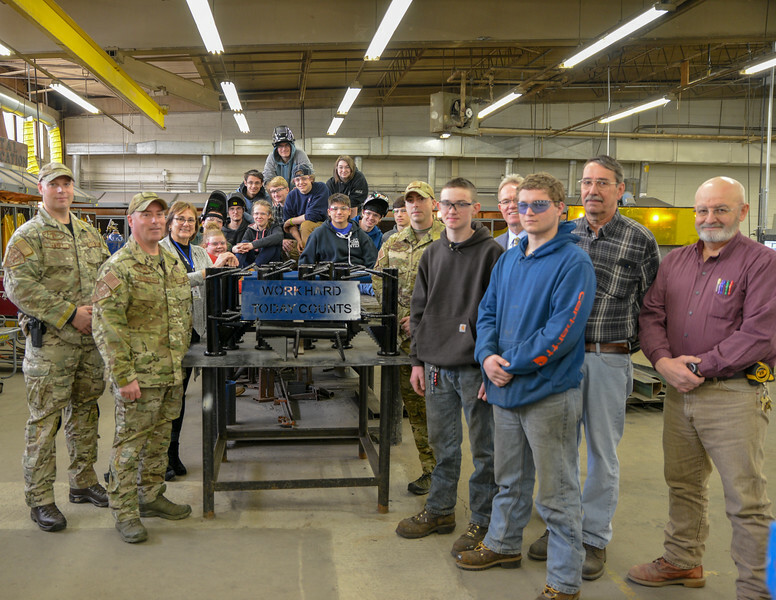 Yesterday, the Massachusetts State Police Special Operations - STOP Team received thirteen one-man Battering Rams designed and fabricated by students in the Metal Fabrication career program at Tri-County Regional Vocational Technical High School. The students began the project by making an initial prototype according to the specifications and measurements provided. Once it was finished, they sent photos to their contact at the Massachusetts State Police for feedback. Updated specifications were sent back to the students who then made it to the dimensions required including adding special hand guards. 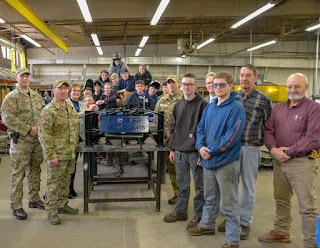 The students used a CNC Plasma Cutter to cut the half-inch steel plates for the face of the Ram and quarter-inch steel plates for the back of the Ram to seal it off. They had to cut out the hand guards to match the type of handles that were needed. Then they tack welded the prototype. Once approved, the students moved forward with producing the Battering Rams.